Great fun. Best to take kids a little older (for the price) our kids were aged 7 and 8 and weren’t interested in any of the history and older movie stars/musicians so it was a quick trip due to boredom (on there behalf, we would have loved to stay a little longer). Madame Tussauds is a favorite interactive experience - a hit with families and friends worldwide. Get up close and personal with your favorite celebrities such as Taylor Swift or President Obama! Say "g'day" to many iconic Aussie stars such as Kylie Minogue and Steve Irwin. 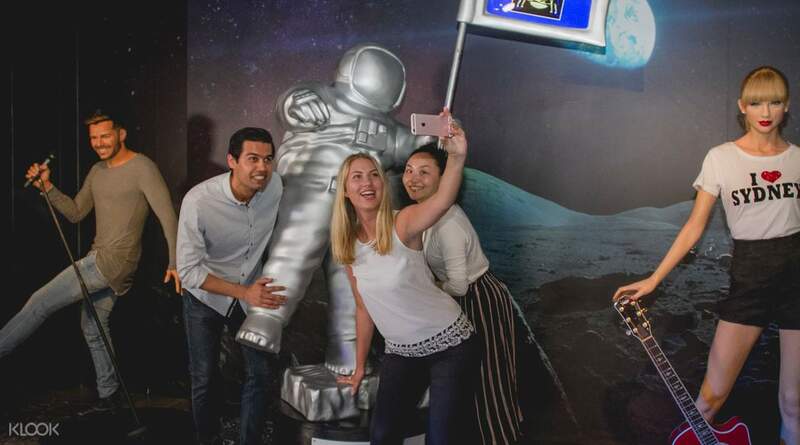 This experience isn't complete without some selfies or cheeky poses and you're free to touch and interact with all the lifelike celebrities. These amazingly realistic wax figures will definitely trick your friends and family back home when you show them the pictures! 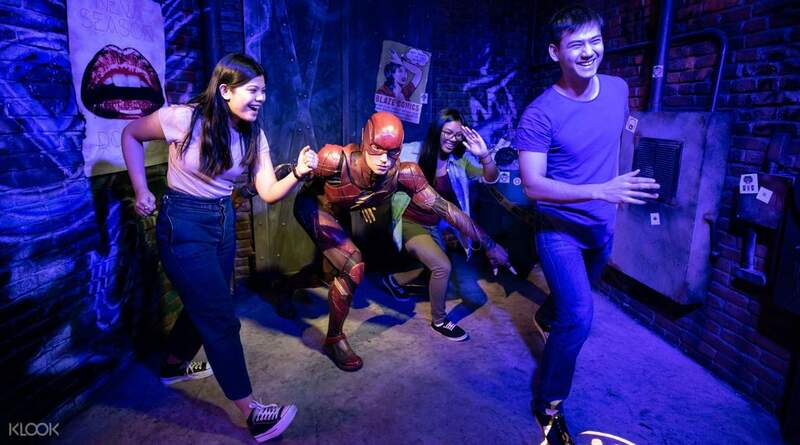 The Justice League have swooped into Madame Tussauds Sydney. 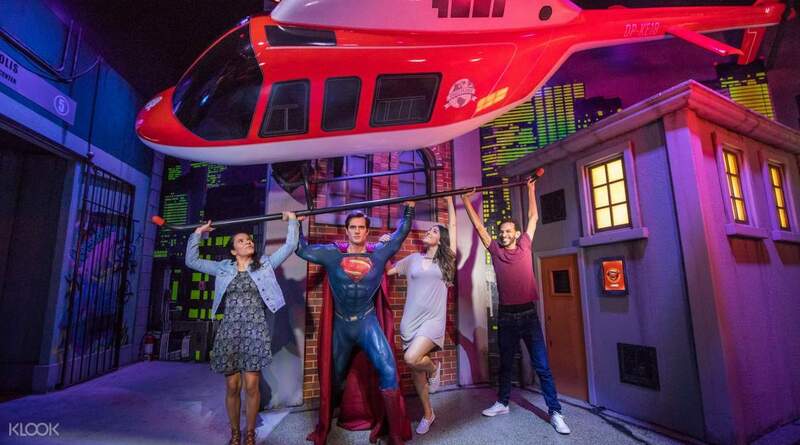 Help Superman lift a real helicopter! 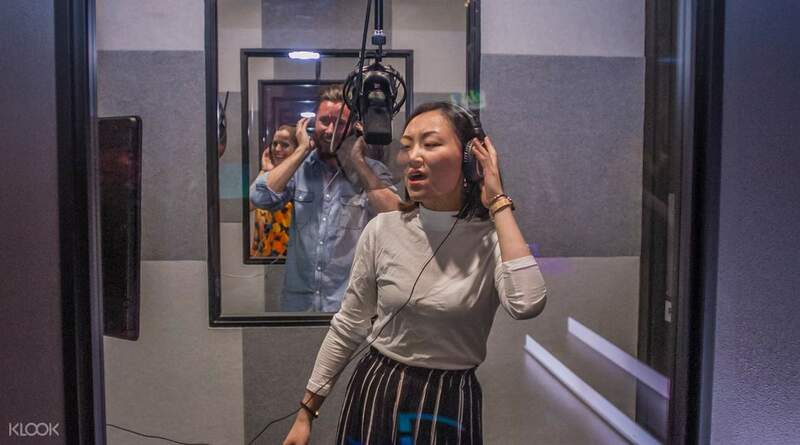 Record your next record-breaking single in the MTV Music zone! 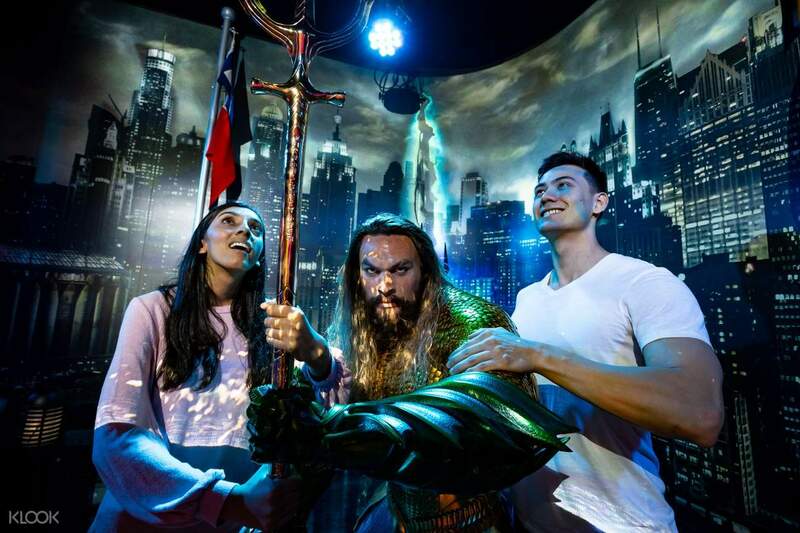 Rise with the ruler of Atlantis – pose with Jason Momoa as Aquaman! I haven’t been to Tussaud’s wax museum for a long time. The last one was in London in 1993! This particular one in Sydney however does surprise me with their choices of celebrities they decide to put in. Majority of it looks pretty good and therefore, taking pics with it feels very fiesta all the way. Highly recommended for first timers and buying through Klook have never been more easier! :) sweet deal. I haven’t been to Tussaud’s wax museum for a long time. The last one was in London in 1993! This particular one in Sydney however does surprise me with their choices of celebrities they decide to put in. Majority of it looks pretty good and therefore, taking pics with it feels very fiesta all the way. Highly recommended for first timers and buying through Klook have never been more easier! :) sweet deal. Our Experience inside Madam Tussauds was really fantastic! Our visit is just right in time because it's the launching of Marvel Characters which me and my husband's favorite! Despite of the long line in ticketing booth we still had a blast and it's really worth it! I am very lucky that i got a chance to buy this deal. Thank you so much Klook! Our Experience inside Madam Tussauds was really fantastic! Our visit is just right in time because it's the launching of Marvel Characters which me and my husband's favorite! Despite of the long line in ticketing booth we still had a blast and it's really worth it! I am very lucky that i got a chance to buy this deal. Thank you so much Klook! We really enjoyed the museum. Booking klook was really convenient, we didn’t have to fall in line for tickets, and it was a lot cheaper. There were many celebrities, unlike the smaller Madame Tussaud’s, that’s why it was so much fun for us. Enjoyable for both kids and adults. Definitely book your tickets through klook. We really enjoyed the museum. Booking klook was really convenient, we didn’t have to fall in line for tickets, and it was a lot cheaper. There were many celebrities, unlike the smaller Madame Tussaud’s, that’s why it was so much fun for us. Enjoyable for both kids and adults. Definitely book your tickets through klook. Unlike many Madam Tussaud’s I’ve been, the one in Sydney has a strong Australian theme to it in some parts which for me, is what makes this exhibit so great. Interactive in so many ways and always a great photo op with props. Unlike many Madam Tussaud’s I’ve been, the one in Sydney has a strong Australian theme to it in some parts which for me, is what makes this exhibit so great. Interactive in so many ways and always a great photo op with props. Excellent experience! It was convenient to redeem tickets. On the first day, we took a ride to Madame Tussauds. We have spent two hours taking photos inside Madame Tussauds. The environment is fabulous. You can chill out at the restaurant nearby. Excellent experience! It was convenient to redeem tickets. On the first day, we took a ride to Madame Tussauds. We have spent two hours taking photos inside Madame Tussauds. The environment is fabulous. You can chill out at the restaurant nearby. good ticket bouth in klook and easy use in Madem Tussauds Sydney, Australia. good ticket bouth in klook and easy use in Madem Tussauds Sydney, Australia. i totally recommend this!! there is always something new in this place! i totally recommend this!! there is always something new in this place! We bought the ticket through klook on the spot and we got the email right away. Helped us skip the queue and go in straight! Very happy with the price as well! Thank you! We bought the ticket through klook on the spot and we got the email right away. Helped us skip the queue and go in straight! Very happy with the price as well! Thank you!